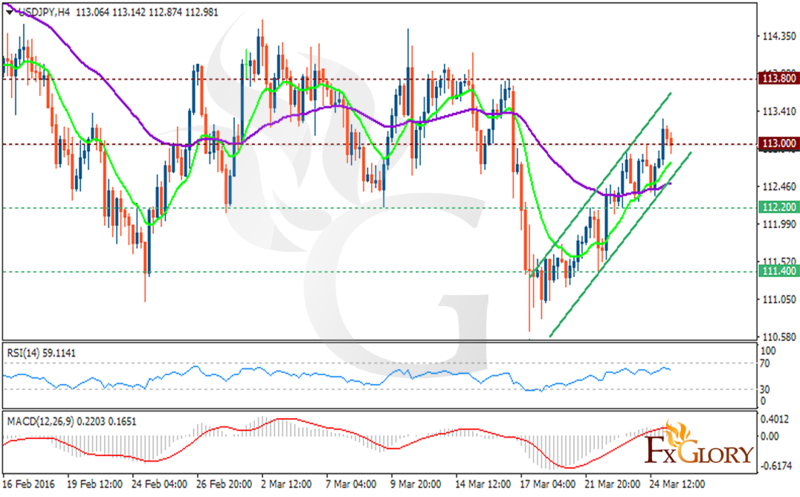 JPY is getting weak due to the Japanese exporters’ comments and the US is gaining momentum because of US housing market data. On Thursday the price had been going up and down but now it is climbing the ascendant channel and is finding support first at 112.20 and then 111.40 with resistance at 113.00 and next 113.80. The MACD indicator is signaling a price growth since it is in the positive zone. Buyers can target 113.00 and 113.50 for today and the next week.